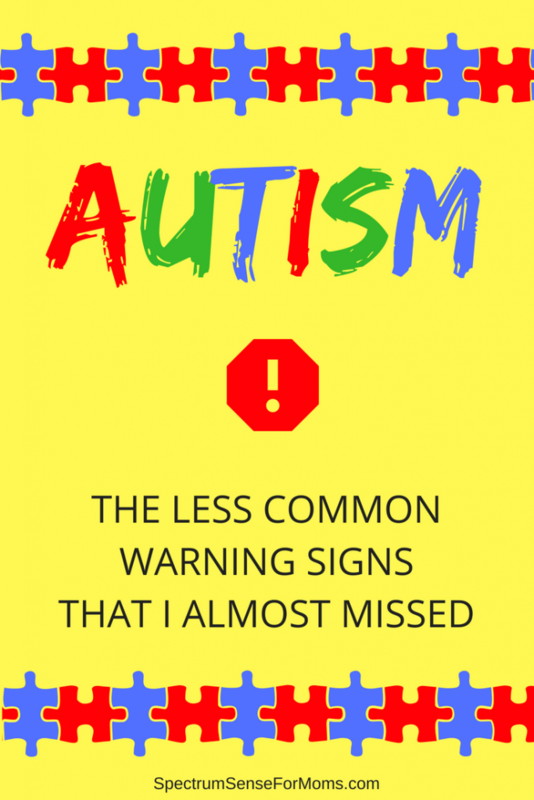 I may have never realized my older son had autism if his little brother’s warning signs weren’t so obvious. During my intensive research for my younger son, I began seeing some of his older brother’s behaviors listed as symptoms of autism – things that I didn’t realize weren’t “normal.” Many people are under the assumption that autism is a fairly definitive disability, characterized by lack of speech, cognitive delays, and social aversion. Quite contrary to popular belief, it covers a broad spectrum, and many characteristic behaviors are easily overlooked. 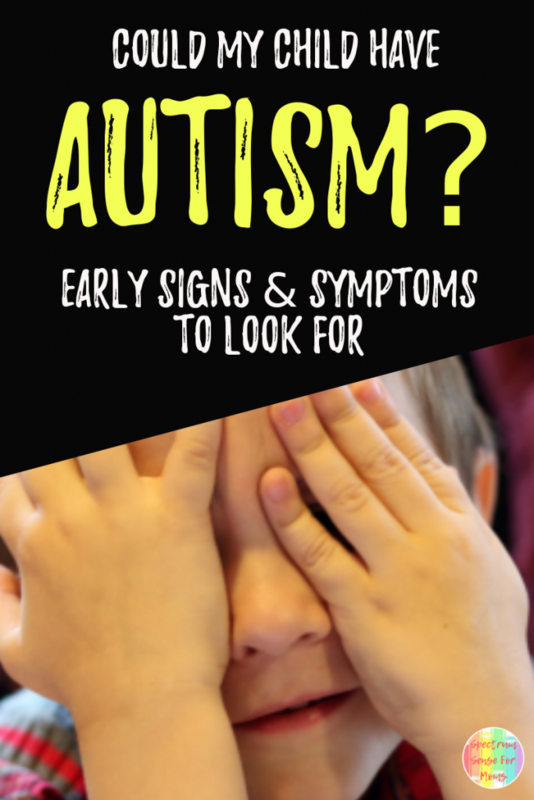 Make sure you don’t miss some less common warning signs of autism. When my second son was born, it was immediately obvious to me that something was different about him. Everyone told me not to worry – I was being paranoid – everything was okay – he’d grow out of it – all babies are different – he was just a newborn, etc. Well, he didn’t grow out of it, and the concerns continued. His autism warning signs seemed obvious to me. He didn’t want to be held or cuddled as a newborn – at all. It was so bad that I had to wrap him loosely in a blanket and set him in a bouncy seat, with his bottle propped on the blanket, in order to get him to feed. He didn’t use both sides of his body equally – he could only roll to one side. He didn’t sit up on time. He would ball up his fists and beat his stomach during diaper changes. He didn’t make eye contact until he was almost 7 months old. He refused to even TRY solids – meaning the stage 1 purees – until he was 11 months old. And the list goes on. His pediatrician blew off my concerns, and said they would do a short autism screening at 18 months. That did it for me. I wasn’t about to just sit idle, worrying about what to do next, until he was 18 months old. So I started researching on my own. 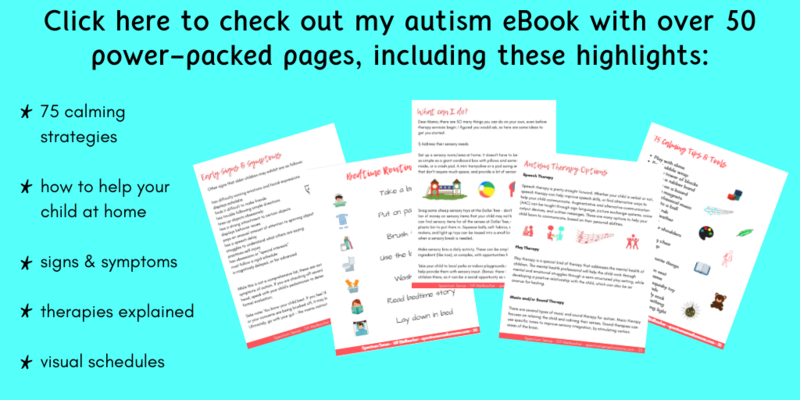 If you think you may need to do some research, but don’t know where to start, check out this comprehensive autism guide I put together. The more I researched, the more I got concerned about my older son. Everyone dismissed the idea that he could even possibly be on the spectrum, but resource after resource listed so many of his behaviors, that I found it hard to ignore. Eventually I had him tested, and the psychologist answered with a very definitive, ” Oh yes, he is autistic.” How did the warning signs of autism seem so normal to me and everyone else? Many young children line things up as part of their normal development, so it often gets overlooked. Lining up objects is a precursor to sorting, which is a skill that all toddlers must develop. They line up their toys, then they realize that some of them look similar, and they begin to line them up in an order that puts the similar objects together. Boom! They have just learned to sort. How often, and for how long, does your child line up objects? If this goes on for hours throughout the day, or if your child doesn’t seem to exit this lining up stage after several months, you may want to speak with your pediatrician. Does he or she place them in a certain order each time? If your child has a certain “routine” for lining up objects, it may be cause for concern. If you join your child in this line up game, does he or she tell you where to place the objects? If your child tells you where to place each object when you line things up with them, this probably means that each object has its own special place, in your child’s mind, and that could be a warning sign. Does your child get frustrated over the placement of the objects? 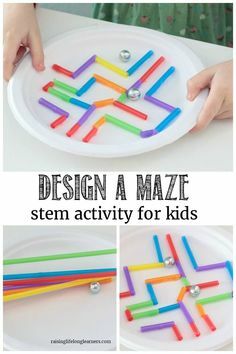 Getting frustrated over the placement of the objects typically means that your child has a certain vision for the way things should go, and this is a stretch from typical behavior. 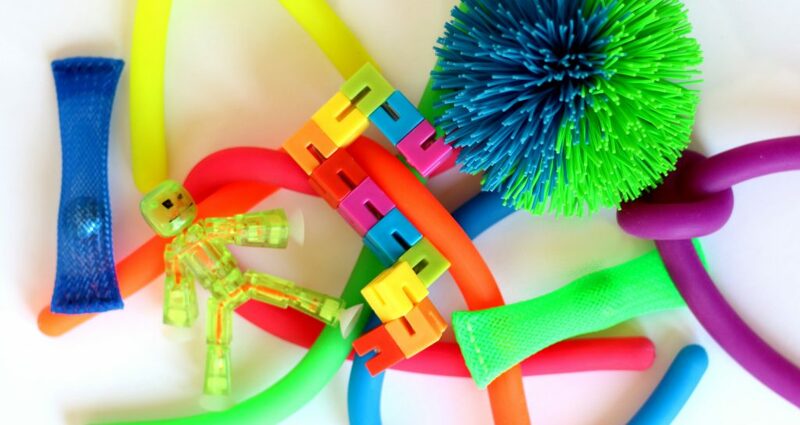 Does your child ever play with the objects, or just line them up? Typically developing children will likely play with the objects as some point. They may line up the pieces of a chunk puzzle, but then put the puzzle together. 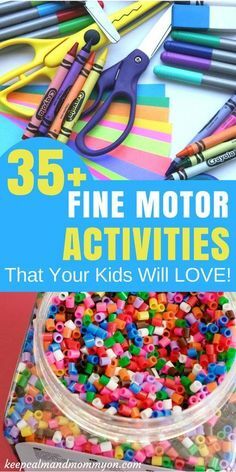 They may line up vehicles or dolls, but then engage in pretend play with them. They may line up cups, but then offer you a drink. My 3 year old would line up all of his vehicles, but wouldn’t play with them beyond that. See, there is an unfortunate misconception about autistic children being unemotional. The reality is that many children all across the spectrum are very emotional – even more so than typical children – they just don’t express it the way that we expect. Some do, like my 3 year old at times, but others express their emotions in unexpected ways, and we miss it. So if your child is overly emotional, don’t blow that off and think that they can’t be autistic because they can show emotions. This one went completely under the radar. 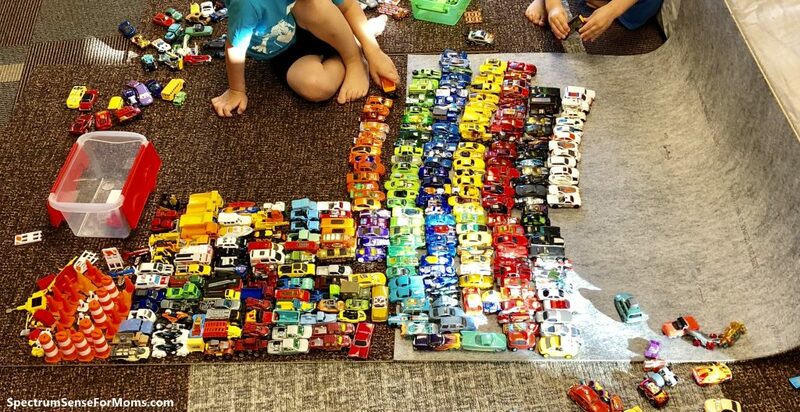 Whenever I would play with my older son (which mainly consisted of making elaborate “parking lots”), he would tell me exactly where and how to line up the vehicles. Sometimes he would get adventurous and drive his cars along the lines of a rug, or in the folds of a blanket. He would tell me which car to drive, and which ridge to follow. If I would pick a different car, he would get upset and insist that I drive the one he suggested. Otherwise, he would scold me for playing the game “wrong,” and throw a tantrum. Don’t get me wrong – all toddlers want to control things to a certain degree! That’s part of what they call it the “terrible two’s,” because your child is fighting for control at that stage. 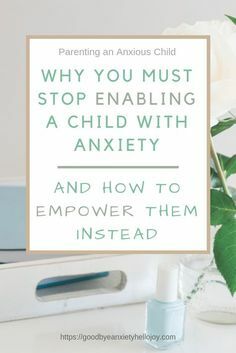 But there is a normal amount of control, and there is a not-so-normal amount; use your discernment to determine where your child falls along this line. Looking back, I kick myself for not being concerned about this behavior. But at the same time, I excuse myself because I honestly just figured it was part of his personality. “Sweet! He’s going to be a go-getter,” I would think. But the truth is that children on the spectrum often seek out control – especially if they are higher functioning. This gives them a sense of familiarity and security. While it can mean other things as well, if your child is extremely controlling, it may be a warning sign of autism. Speak with your child’s healthcare provider if you are concerned that their behavior has crossed that “normal” line. 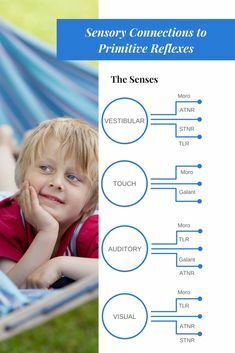 Many people recognize that sensory issues are part of the autism spectrum. But sometimes parents are told their child has sensory processing disorder (SPD), and they automatically rule out autism because they now have a diagnosis. This was the case with my older son. He clearly had SPD, and began an early intervention program through the state when he was 2 years old. Once I had the “answer” to some of his more obvious behaviors, such as eating and sleeping issues, I thought the search was over for him. So I never would have looked further if it were not for all of the research I was doing for my younger son. I hear from other parents on a regular basis who have done the same thing: they stopped looking once they got a sensory related diagnosis. Many of the concerned moms in my SPD groups end up being told that their child may have autism, and it confuses them, because they think they’ve already gotten the answer. 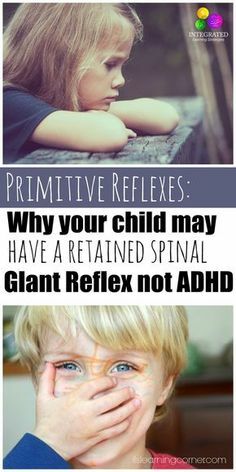 But don’t stop at a sensory integration diagnosis if your child has other issues. It is possible to have both SPD (sensory processing disorder) and autism. My younger son also has SPD, and began early intervention when he was 12 months old. His therapists at the time told me that his sensory issues were the underlying cause of his other developmental delays…and I believed it for a while. I blew off the warning signs of autism because there was a logical explanation for each of his issues. The behavioral therapist told me that he likely didn’t make eye contact for so long because he was overwhelmed with too much sensory stimulation. 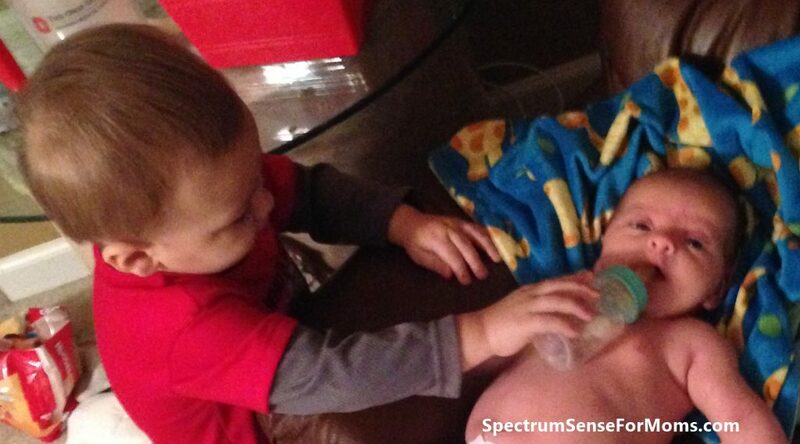 His speech therapist said that he couldn’t speak because he couldn’t sit still long enough to learn to talk. (Guys, at 18 months, he still ONLY used a HORRENDOUS, high-pitched shriek to communicate. It. Was. Awful. He could say “mama,” but rarely did.) His occupational therapist blamed his cognitive delays on his sensory issues yet again: he was constantly overstimulated, so he couldn’t take the time to listen to conversation, and therefore he never learned what the words meant. And of course, this was the reason for his social delays, according to his behavioral therapist. It all sounded reasonable. And it may have been true too. BUT…that doesn’t mean the diagnosis story should end there. If your child has major social and cognitive delays…even if they have SPD…please speak with their healthcare provider about these concerns. Whatever the case, go with your mom instinct! I am so glad that I continued to push because of my concerns with my younger son. 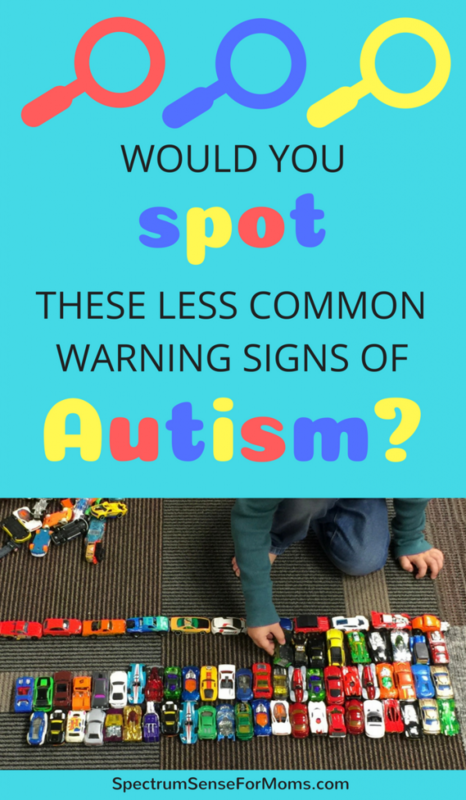 I probably would not have known that both of my boys were autistic otherwise. I wouldn’t have been able to get them the proper help, and I wouldn’t have been able to really understand them. Knowing really is a huge part of the battle, because once you know what is causing your child’s issues, you can find the right resources to help them prosper. If any of these behaviors ring a bell with you, check out this great read on autism in toddlers. Dear mamas, please don’t let someone talk you out of further investigation. If you are concerned at all about your little one’s behaviors, ask a doctor. Do your research. Don’t miss the warning signs! 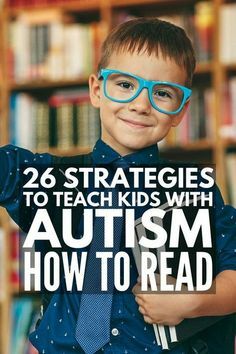 Autism is such a broad disability, and there are so many ways it can present itself; so don’t be tricked into thinking that your child must fit the mold of a “textbook” autistic individual in order to be autistic. You are your son’s or daughter’s biggest advocate. If something about their behavior doesn’t seem right, do everything you can to get them the resources they need to prosper. 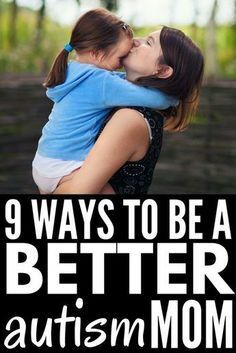 Connect with other parents, and get their support and advice. Cry with others in the trenches, and learn from those who have had successes. You can join my free FaceBook group to chat with other moms about autism and sensory integration disorders. Help is just a click away! I did not know any of these warning signs. Good that you wrote about this and your experience with doctors missing these things as well. Yes, Candy, it’s surprising how much the doctors miss too – that’s the disappointing part! Raising awareness will help get these things in the public eye more, which will hopefully cause the doctors to become better educated in turn! Me too! You’ll find plenty of that here! This is true. I worked for kids with special needs. Another subtle sign that I notice is the obsession with letters and sometimes arranging them backwards. This can sometimes make a parent proud but if a child is already doing it for a long time and it’s the only thing that they want to do, a parent should investigate. Thanks for adding that one, Phoebe! 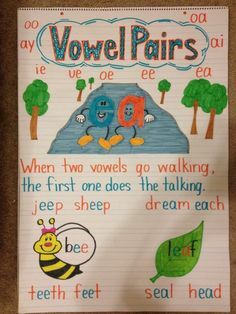 I have also known autistic children who took pride in reciting the alphabet backwards, so apparently there’s something to it. My 3 year old son was diagnosed with SPD just before his second birthday. I had told the doctor my concerns and she set me up with first steps. They came and evaluated him and told me it was SPD. We had a occupational therapist come to our home once a week. I still thought it was more then SPD. He was about to turn 3 and still didn’t talk in sentences and he only used about 30-40 words. He seemed to be getting worse instead of better. His temper tantrums have become horrible. I became close with our OT and I knew she also had experience with autism. I finally just told her I thought my little guy was autistic and asked her if I was crazy. She was so happy I said something to her. She agreed that he showed signs and said that it would be a good idea to have him tested. Here now lies my problem, our insurance says they don’t cover mental health and won’t cover the cost of the evaluation. The evaluation is very pricey. Does anyone have any suggestions? Ugh!! I’m so sorry, Kendra! That’s part of the problem with getting our kids diagnosed; insurance often doesn’t even cover it. Check into your state’s Early Intervention and special education programs. Many states have an EI program that is completely free, covered by the state. Before their 3rd birthday (or whenever you get an IEP), they typically transfer from the home visits to the local school system. During this process, many schools have their own autism evaluator who can assess your child during the entry process. This would be free. So talk to your OT and find out how to get him into the local school system, and whether they have an autism specialist in the school. Wonderful article, and way to go, Mama! 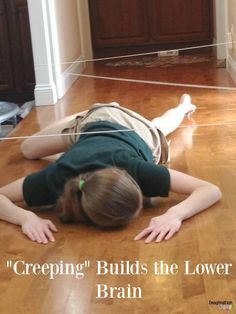 Advocating for our special needs children sometimes feels like an uphill battle. Sometimes for me it feels impossible, but one foot in front of the other mostly does the trick. I still get SO upset thinking about all the medical professionals, including my son’s pediatrician, who seem terrified of the big bad A word! Get a grip people! They say its over-diagnosed. 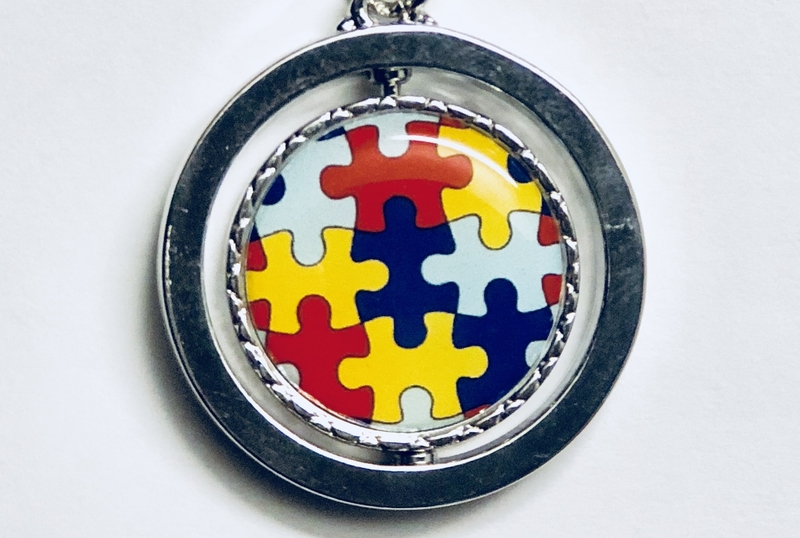 10 years into this Autism journey I am coming to realize it is grossly under-diagnosed, and alarmingly misunderstood still in the majority of the medical community! Thank you for sharing your journey, Nicole! I could have written much of that myself. All of my research for my boys several years ago made me start realizing I needed to be evaluated too…especially once all of their therapists started telling me it was obvious to them that I was on the spectrum too! 😳 Conversations started, and I found out my parents didn’t have the money to have my brother and I evaluated as children, and his doctors had even said that he was likely autistic. As adults, we have both discovered our places on the spectrum, thanks to my boys. It definitely has a huge genetic component, and sometimes can be more severe as it carries over from one generation to the next. Hopefully more doctors will begin getting the proper training so they can recognize the signs earlier!